I get David Safeer’s newsletters, and this was had an idea that was too good to not share. 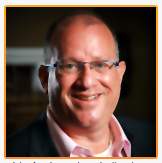 David is a management and leadership consultant – read about him on the front page of his site. He’s done a very nice job communicating who he is and why he is relevant to his right audience. In his most recent newsletter he shares his “business principles,” which are business principles “to achieve outstanding performance.” It made me wonder, what are my business (or life, or marriage, or father, or entrepreneur, or CEO, or product manager, etc.) principles? He says he wrote these almost ten years ago, and that reviewing them now, there are NO changes to make. To me that indicates they are indeed principles instead of tactics, which can and usually should change over time. Go check out his list – it really reads like a short book on how to do better in business. His list is about people and relationships, not about numbers. He says: “I am convinced that people are THE key to a successful organization, so my thoughts about business principles turn often to the people side of things.” Where do your thoughts about your principles turn? Can you create your own list of principles? This could be like a personal business plan, or map, that helps you make decisions and be true to yourself. What would be on your list? Being relevant is an interesting concept. When I started JibberJobber I thought people would talk about me and JibberJobber for a long time. I got interest and buzz at first, but then things died down, and I found I had to continually put something interesting and/or new in front of people. I wrote a book on LinkedIn, and that did it (for a while). But then 40 other people wrote books on LinkedIn, and I wasn’t THE expert anymore. I was losing relevance. I had to do other things, which I did. I still do other things to stay in front of people and try to stay relevant. Why do you think LinkedIn, Twitter and Facebook make so many changes to their systems? Some are good and needed, others are simply to get press. Think about this for YOU. What can you do to remain relevant with your audience? Don’t get me wrong, this is not just a branding/networking thing. I think having guiding principles is AWESOME. I encourage you to work on your own. And, use what you come up with as a reason to get back in front of your network contacts and create a bit of buzz or conversation. Comments Off on What Are Your Guiding Principles?